We’re a little old fashioned. posted Oct 11, 2011, 8:10 AM by Becca K.
You won’t find my husband and I talking about our “adult” problems in front of our kid, not if we can help it. You won’t find us talking about big people issues in front of kids. And you won’t find us discussing either of our jobs within the confines of our home. Privacy is required in both of our professions, as we’re rule followers, by golly. You won’t hear us swearing in front of our kid, well, again, not if we can help it. I am human, and a bit of a butter-finger type, and these things just slip out from time to time. She also needs to understand respect. And so we try never to talk about any of her aunts or uncles or grandparents in an unflattering light in front of her. They are her elders and she must respect them. That is the way it is. None of this is to say that we are perfect, we’re far from it. But we believe that our kid needs to be a kid and worry about kid things. She doesn’t need to be burdened with the worries or dramas of the adults in her life. She needs to be blissfully oblivious. See, Natalie had to “grow up” at the age of 11 weeks old. 11 weeks - that was the age of her first surgery. 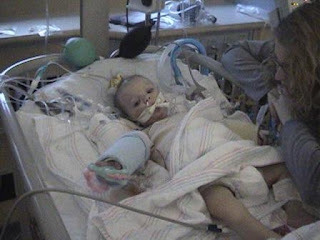 Her liver transplant was at the age of 16 months. And then she developed lymphoma. And then hemolytic anemia and then she needed 24ish blood transfusions. Of the 300+ days in her life that were spent in the hospital, all of them were spent with too many adults and too many problems. And so her daddy and I do our darnedest NOT to share our problems with her. She’s had enough problems to last a life time and then some. We encourage blissfully obliviousness in our 8 year old; she’s got the scars (on her tummy, on her arms, on her neck, on her legs, etc.) to show that she has earned it.